Reigning amateur champion Jovan Rebula laid down an early marker in the hunt for the Freddie Tait Cup after day one of the South African Open Championship, hosted by the City of Johannesburg at Randpark Golf Club. ‘It was nice to fly out of the blocks; it set a positive tone for the round,’ Rebula said. ‘I had two more birdies on the back nine, but I dropped one at 15. It can always be better, but I’m happy to start Firethorn on Friday at four-under. South Africa’s No 1-ranked Wilco Nienaber and reigning Sanlam SA Amateur champion Deon Germishuys are also still in the mix. Nienaber stumbled with a double bogey on the second hole at the Firethorn Course, but the big-hitting Bloemfontein golfer rallied with three birdies on the back nine and an eagle at the par five 14th saw him post two-under 69 for a share of 46th. 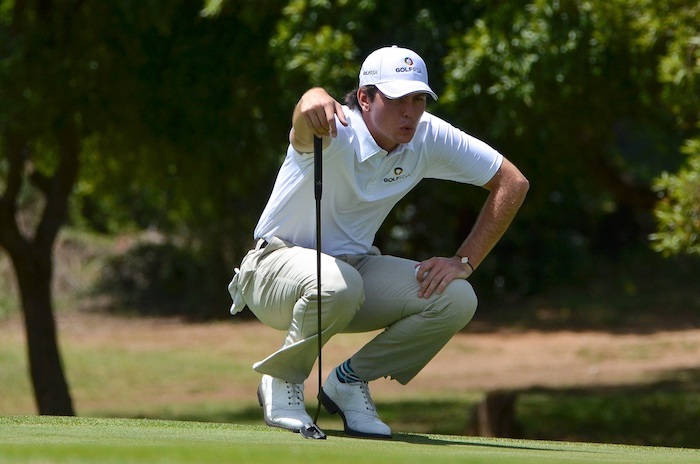 Southern Cape’s Lamprecht – the youngest winner of the Sanlam SA Amateur Championship and the youngest champion at 17 years, and first foreign winner in the 76-year history of the East of Ireland Amateur Championship – is a further two strokes back. Premlall carded a two-over 73 to tie for 149th in the 270-strong player field.